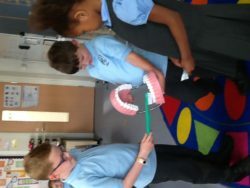 Primary 3 have been learning all about how to look after their teeth and what too many fizzy drinks do to their teeth. 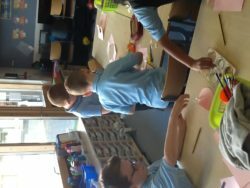 We placed eggs in cups with water, fizzy drinks and a smoothies to see what happened. 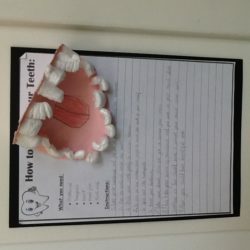 The shell represented the enamel on our teeth. 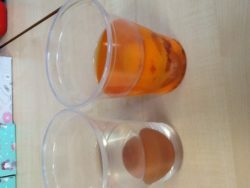 We found that the shell of the egg was badly damaged in the cups which contained the fizzy juice and smoothie. 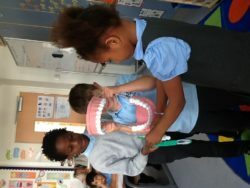 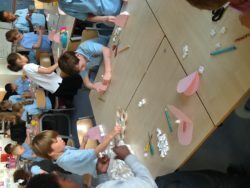 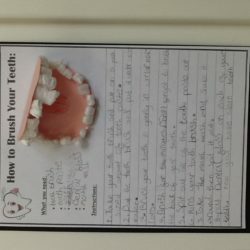 We learned how we can look after our teeth and all about brushing them properly.